Rachel Gibson. 2016. 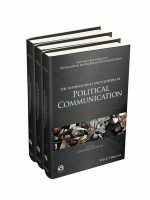 ‘Online Elections’ In The International Encyclopedia of Political Communication Gianpetro Mazzoleni (ed. )Wiley Blackwell.